Challenging a DUI charge often involves a multi-pronged legal strategy. Sometimes there is a “smoking gun” that will result in charges being dropped. More likely, though, it will involve whittling away at the prosecution’s case to raise reasonable doubt. 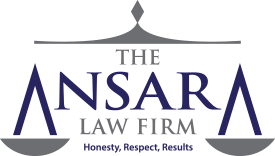 Our experienced Fort Lauderdale DUI defense lawyers at The Ansara Law Firm understand the complexities of these cases and are familiar with local procedures and individual players. The Florida Department of Law Enforcement (FDLE) reports an average of 32,000 DUI arrests statewide annually (approximately 2,000 of those in Broward County). Conviction rates vary widely by jurisdiction. What we can say defendants with strong legal representation fare far better. The DUI arrest concludes only the first leg of the process. The burden of proof is on the prosecution to show you are guilty. Successfully challenging a DUI in Florida involves first understanding the prosecutor’s burden. A person must be driving or in actual physical control of the vehicle in this state. The person has a blood-alcohol level or breath-alcohol level of 0.08. Our attorneys will carefully analyze each element and aggravating factor to determine whether there may be insufficient evidence, faulty evidence or evidence that was improperly gathered. Let’s start by unpacking what it means to be “driving” or “in actual physical control.” The term “driving” may be self-explanatory – key is in the ignition, the vehicle is in motion, you are operating it. To be “in actual physical control,” however, may be a bit more complicated. You need not be actually driving the car to be guilty of DUI. Defendant was in actual or constructive possession of the key (or present evidence showing the vehicle could operate without a key). This would mean the key is in the ignition or on the driver’s person or in close enough proximity that the driver had easy access to it. Defendant was in the driver’s seat. Believe it or not, this isn’t a requirement for a DUI charge, but it can certainly help bolster the case. The vehicle was operable. The vehicle wasn’t broken down or otherwise unable to run. Challenging this doesn’t mean simply the battery was dead or you had a flat tire. This means there was some defect that rendered it completely immobile, as opposed to temporarily immobile. What all this means is even if you parked your vehicle somewhere to “sleep it off,” you could still be charged with DUI – even if the car was off. So to challenge this element, defense lawyers will need to present some evidence indicating you were not in physical control of the car. This could mean the car was broken down or you were in the back seat or you didn’t have the key. All three of these are subject to challenge by your attorney. The testimony and recorded observations of an officer are given a great deal of weight in court. However, there are some cases where the officer cannot appear to testify. Technically, police reports are hearsay, and without the officer’s direct testimony, it may be inadmissible in court. Even if the officer does testify, we may be able to challenge the assertions made by presenting any conflicting evidence that might undermine their credibility: I.e., inaccurate timeline, conflicting witness statements, physical evidence that doesn’t match up, conflicting data from body cameras or surveillance videos, etc. Beyond that, we will look to challenge the results of field sobriety tests. These are tests rooted in the scientific and medical theories, but not carried out by scientists or doctors in an absolutely controlled environment. For example, one of the tests is called the “Divided Attention Test.” This is when an officer tests the mental and physical component required to drive by requiring a suspect to divide attention between two components to successfully complete a task. Examples are the “one-leg stand” and the “walk-and-turn” test. These tests are subject to very strict procedures in order to ensure scientific validity, and they are subject to the officer’s own subjective analysis. Further, even when these tests are conducted properly, factors such as physical injury, stress or obesity may impact the outcome. We don’t need to prove that’s the case, only to raise a reasonable doubt that it could have been. Prosecutors can prove one is “under the influence” per se by showing he or she had a blood-alcohol or breath-alcohol concentration that met or exceeded 0.08. Breath-alcohol levels are measured with a breathalyzer test, usually in Florida an Intoxylizer 8000. Blood-alcohol tests, meanwhile, are conducted with a draw of blood from defendant. Defense lawyers know breathalyzer tests can be influenced by medical conditions, environmental conditions and failure to properly calibrate or operate the machine. Our attorneys will look closely at whether these elements apply. Did defendant consent to the blood-draw? If defendant did not consent, was there a warrant? The U.S. Supreme Court’s ruling in Missouri v. McNeely requires a warrant from a judge to subject a defendant to a non-consensual blood draw. Whether the machines used to analyze the sample were properly operated/ maintained. Another DUI challenge you may assert is that of Rising BAC . This focuses on the fact that after you stop consuming alcohol, your BAC actually continues to go up for a period of time. That means you could be below the legal limit when you are stopped, but your BAC rises to 0.08 or higher by the time you take the test. If you are arrested for DUI in Fort Lauderdale, our DUI defense attorneys can help.